Not surprisingly the organizers of beauty pageants are private and as late as 2015 the co-owner of the Miss Universe (s)elections was none other than Donald Trump. Currently Miss Universe is owned by IMG and William Morris Endeavor and produced by their event company “Trans World International“. How fitting. 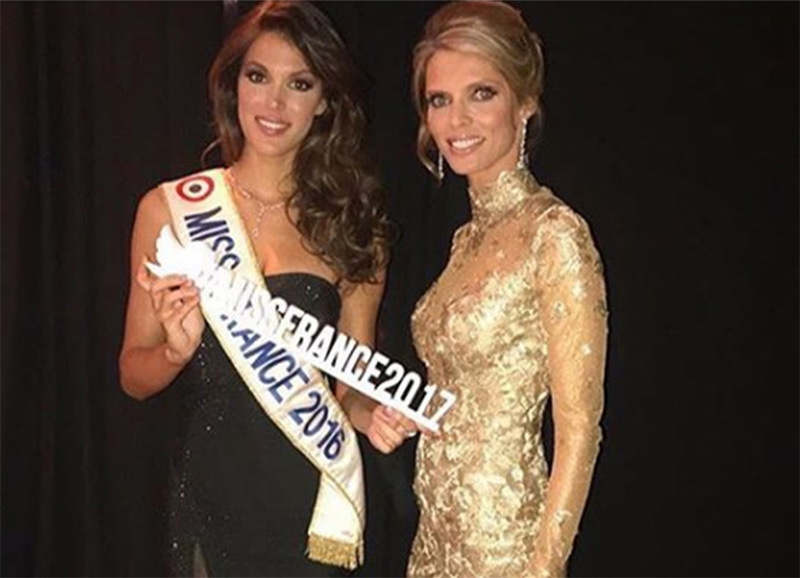 Politics seem to be linked both literally and covertly in these public ceremonies and the current title-holder comes from France in the person of Iris Mittenaere. Iris is of course easy on the eye on first impression with her immaculate make-up and dress branded with her Miss Universe insignia. But Iris isn’t just flashy on the retina, her name is also an uncanny mnemonic trick for the french audience as her name closely mimics that of former french President François Mitterrand (1981-1995). One might need to be a bit familiar with french to understand the trick, but it is quite simple – inversion of the last half of Mitterrand’s name phonetically. The last part of the beauty-queens family-name is inverted and spelled differently from the late presidents name. Both spellings have silent letters and could be understood as ‘ran’ and ‘nar’ when referring to pronunciation in french.